Tropical Storm Florence was likely to weaken on Sunday as it swept through the Carolinas but dozens of communities are devastated and “epic” amounts of rain could still fall, officials said. 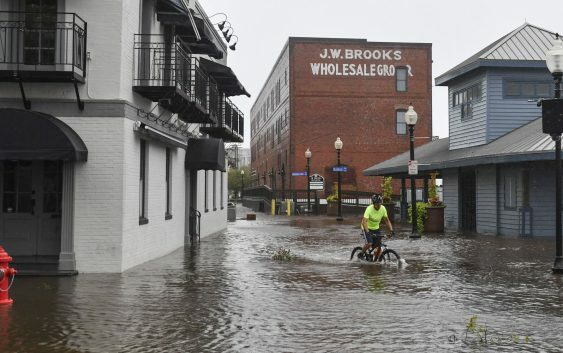 The storm is expected to become a Tropical Depression as it trudged inland early Sunday, knocking out power and causing at least eight deaths as flood waters kept rising. North Carolina officials have reported at least seven storm-related fatalities with unconfirmed reports of a further three deaths. South Carolina authorities reported one death. “This is still a catastrophic, life threatening storm,” said Zack Taylor, a meteorologist with the National Weather Center’s Weather Prediction Center in College Park, Maryland. Winds have dropped to about 40 miles per hour (65 kph) since it roared ashore along the U.S. mid-Atlantic coast on Friday as a hurricane and it is crawling west over two states at 6 mph (9 kph), the National Hurricane Center in Miami said early Sunday. 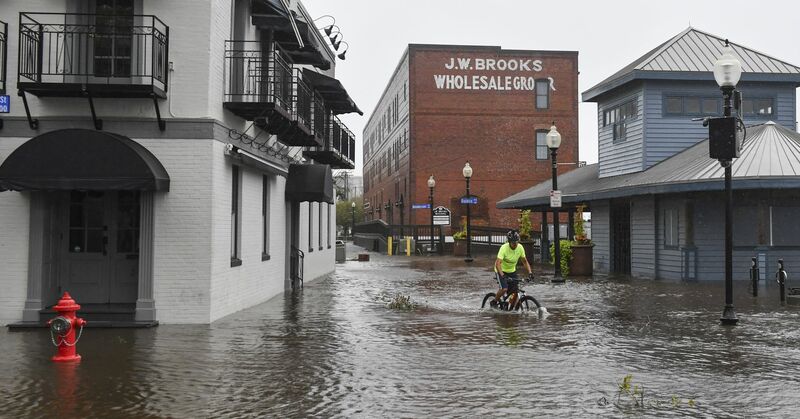 Taylor said the storm already dumped 30 inches of rain on some parts of the N.C.
“This storm is still deadly and dangerous and it’s expected to turn northward later today into Virginia and the mid-Atlantic,” he said. North Carolina Governor Roy Cooper said: “This system is unloading epic amounts of rainfall, in some places measured in feet and not inches.” Rivers will continue to rise days after the rain has stopped, he said. Around 50 stranded people were airlifted by helicopter in North Carolina, said Petty Officer Michael Himes of the U.S. Coast Guard. More than 26,000 hunkered down in shelters. Florence was drifting westward over South Carolina, reaching about 25 miles southeast of Columbia S.C. at 2 a.m. Sunday, the NHC said. Up to 40 inches (102 cm) of rain are expected along coastal areas of the Carolinas and up to 10 inches in southwestern Virginia, it said. Officials had warned before the storm rains could taint waterways with murky coal ash and toxic hog waste. As the United States dealt with Florence, a super typhoon swirled towards Hong Kong and the Chinese coast on Sunday, gaining in strength over the South China Sea after hurtling through the Philippines, where it wreaked havoc that killed at least 25.